This utility allows you to re-open the last pay period finalised or re-open previously updated pay periods in order to amend pay details for one or more employees. 1) On the payment schedule bar, select the pay period you wish to re-open. 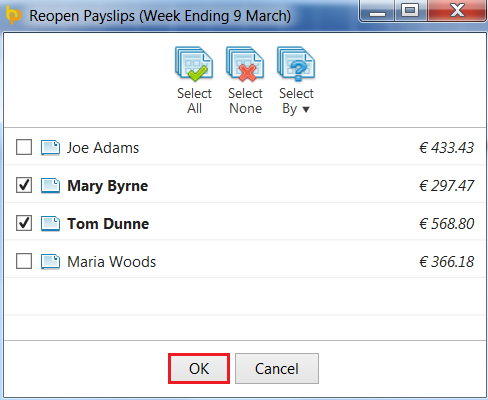 2) Click Re-Open Payslips on the menu toolbar. 3) Select the employees you wish to re-open payslips for. The selected employee(s) payslips will now be available for editing and finalising again. 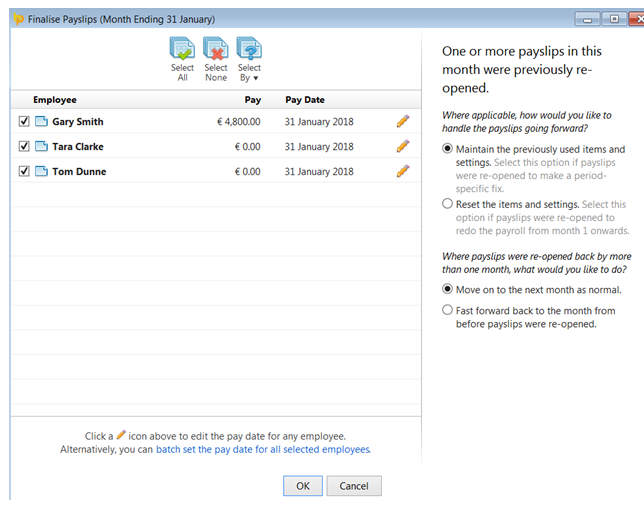 1) On the payment schedule bar, select the pay period from where you wish to re-open payslips. Pay periods falling after the pay period selected will subsequently be re-opened. The selected employee(s) payslips will now be re-opened from the pay period selected and will be available for editing and finalising again. When re-finalising re-opened payslips, you will be asked how you wish to handle the payslips going forward. 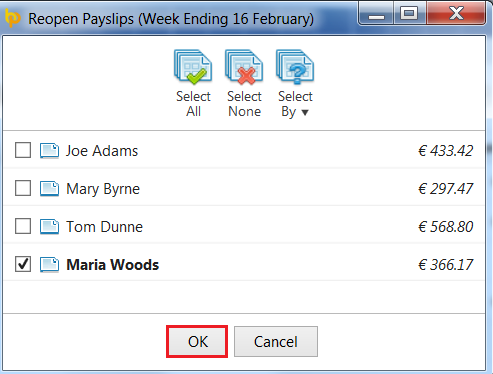 Reset the items and settings – select this option if payslips were re-opened to re-do the payroll from the period opened back to. All subsequent pay periods will be cleared down accordingly for the user to enter the pay items they require.